Shopping for a used Chevy Corvette is a little different when compared to shopping for an average car. While the process remains the same — get vehicle history, inspect it yourself, get an independent inspection, etc. — the reasons you are checking out the vehicle are different. For example, tires will wear down a lot faster on a Corvette than a Civic. Burnouts aside, there’s a lot more torque going to the wheels. But, more on that later. It was just a quick example to show you what I was talking about. For now, let’s take a look at why the C6 Corvette is a vehicle that fanatics love, and why you should love it, too. Other than the fact it’s a Corvette, one of the most legendary vehicles on the road, the C6 sixth generation Corvette was created with the old saying “if it ain’t broke, don’t fix it” in mind. The fifth gen ‘Vette was such a huge success — and advancement for Chevy’s iconic sports car — that when it came time to either refresh or redesign it, the brand decided not to mess with a winning formula. This means that in 2005, the C6 Corvette was everything that fans were already intimately familiar with – always a huge plus when it comes to a vehicle’s new generation. There were some minor tweaks made here and there, and Chevy decided to take care of a few negligible flaws as well. Two of those minor tweaks I mentioned were made to the body and interior, and included things like exposed headlights and a single intake grille. From 1997-2004, the Corvette had a softer and more rounded edge styling on the outside. In 2005, it became sharper and more angular looking. The wheelbase was also stretched a bit, but the overall length of the car was shorter, which aided in fuel economy via its slight weight reduction. Obviously, more changes and updates were made as 2013 approached, and the C6 Corvette only became more powerful, advanced, and modern as time went on. 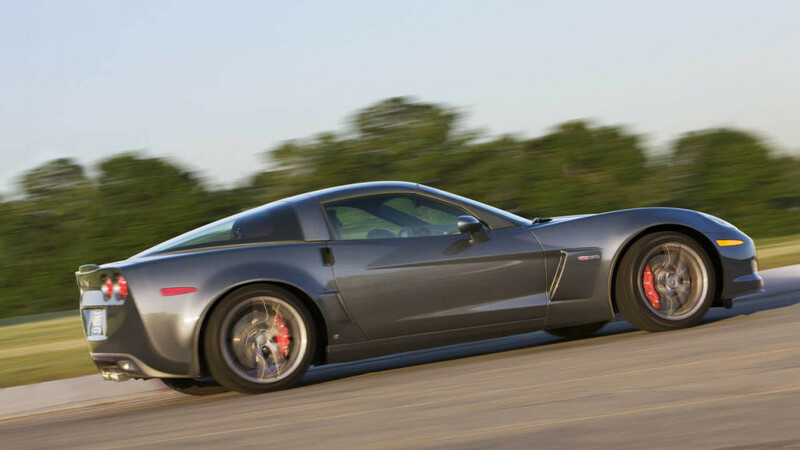 So then, what ultimately makes the C6 Corvette — from any year — a good choice to buy? Because of what I mentioned earlier: its built on the success of the previous generation. It’s not everyday a car company decides to keep a generation similar to the one before it, and then use that model that everyone loved as a foundation for something better. Of course, whichever C6 Corvette model year you decide to buy is ultimately up to you – everyone’s different. Regardless of which year you pick though, you’ll still shop the same way for it. Like I said above, shopping for a sports car is a whole different world compared to shopping for an economy sedan or truck. While the buying process is generally the same, you’re inspecting and asking questions for different reasons. I’ll elaborate on some more of the important points, but common sense should always be your compass. These are fast cars, obviously. So the previous owner could have ended up scraping the paint on a guardrail, or gotten in a more serious accident. Speed is addictive, and if you’re reading this article then you’re obviously an addict. Or else, you wouldn’t be considering a Corvette. Therefore, you’ll want to be extra confident that the Corvette you’re looking at hasn’t been in an accident. Check for any mismatched paint on the exterior or underneath, along with narrow or wide gaps in the body panels. Make sure to look underneath for any rust, and while you’re under there look for any broken or cracked parts of the frame that might indicate a prior collision. Make sure to check the vehicle history report as well, to ensure that if there is any damage on the Corvette it matches up with what’s documented. Also, look for any bonding material and whether that bonding material is a different color. Checking tires might be the last thing on your mind when looking at this beautiful machine, but you need to make sure it’s one of the first things you look at. The C6 Corvette in particular eats up tires very fast. Typically, a set won’t last more than 15,000-20,000 miles even if it was properly taken care of and rotated. That’s excluding burnout damage, mind you. Therefore, you’ll want to look at the remaining tread life and overall condition. If that didn’t convince you, then maybe the fact that high-performance tires are stupidly expensive to buy, and the tire pressure monitors and peripheral systems are costly to repair and maintain as well. Since this car goes faster than a lot of others on the road, that means it has to brake harder as well. Therefore, the brakes will get worn down quicker, and have a higher risk of being damaged. Make sure to check those out as well. Don’t know how to look at brakes to make sure they’re okay? Then take the vehicle to an independent and certified (or trusted) mechanic. Apart from not understanding how to look at brakes, oil, transmission fluid, tires, etc, used Corvettes are also a little more complicated than your every day sedan. Especially the C6 models from 2005-2013, which are computer controlled. C6’s are complicated and computer-controlled miracle-machines that need a complete electronic diagnostic of the vehicle by a knowledgeable and trusted Corvette mechanic, or certified Chevy technician from a dealership. Unless you are familiar with the updated technology in this car, you won’t know heads from tails when it comes to looking at its electrical components. Finally, test drive it. Don’t just look at it and drive off the lot, see if it’s even something you’re going to enjoy. If you’re a first time buyer, you might discover that speed isn’t your thing. If you’re a veteran, you might prefer the way a 2008 model handles versus a 2010 one. Be thorough, take your time, and use common sense when it comes to buying a C6 Corvette. If you do that, you’ll be rewarded with an unforgettable driving experience.